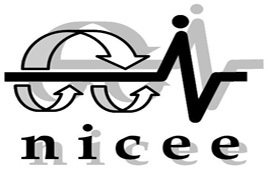 Earthquake Engineering Practice is a quarterly from National Information Centre of Earthquake Engineering at Indian Institute of Technology Kanpur, Kanpur, India . The primary purpose of establishing the periodical is to disseminate information about current research and state-of-the-art in earthquake engineering to engineers in developing countries. The periodical consists of already published articles of wide interest to the professionals, academicians and researchers. 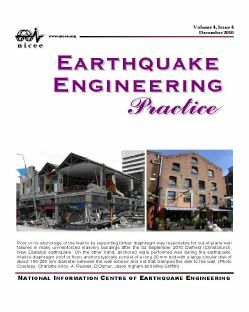 Earthquake Engineering Practice is published quarterly and is available free of charge to individuals. Organisations, Institutions and Libraries can procure the same by yearly subscription. The periodical is not disseminated in USA and Canada. *Note: For Organisational Subscription, demand draft should be in favour of "National Information Center of Earthquake Engineering" payable at Kanpur.